Ragnarok is a masslarp (large-scale live action role-playing game), immersive and convivial. The highlights of this event are its script and its universe built to offer you a game immersion as deep as possible. We expect high implication from our participants in the visual aspect of their accommodations, costumes and accessories, so that everything is consistent. After a few month of silence, now has come the time to give you some news in order to allow you to plan you agenda in regard to 2019's event. Each of the points concisely touched upon here will be object of a more complete communication. 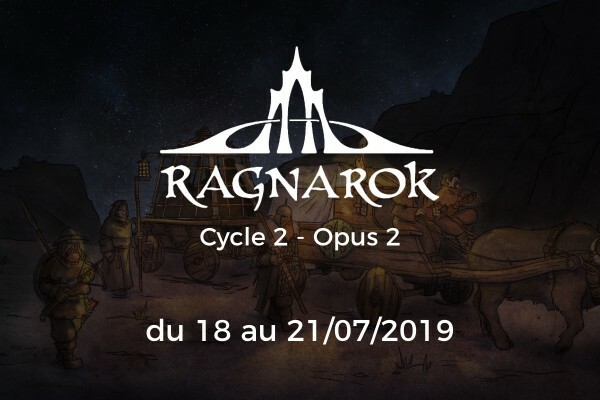 ● Summer event : Ragnarok will take place from thursday, July 18th (around 19h) to sunday, july 21st 2019 in Brisy. Participants may start setting their camp from Wednesday, 17 july 2019 (10h). 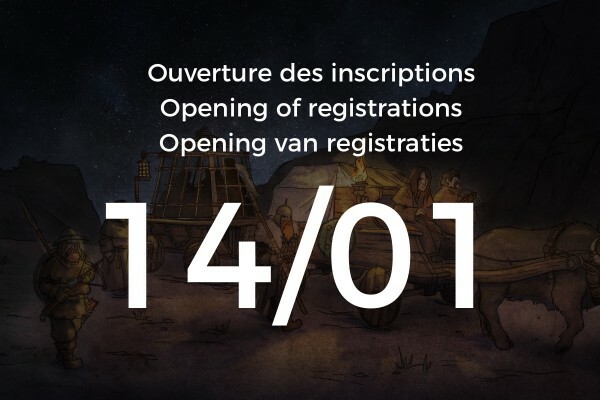 We have the pleasure to announce that the inscriptions for the 2019 event will open the 14/01/2019 ! You will find on our website (section « inscriptions ») all the needed informations. We want to remind to all that every PC must be part of a caravan whose background must be validated by the organisation. If not, the concerned characters will be automatically placed in the refugees’ area. In order to avoid an outcry undermining the motivation of the volunteers like the one encountered last year, here are a few informations on the changes made in comparison with last year.